"You look the same as you did at school" "You look the same" "You look younger now" "You must have good genes" "What's your secret?" Were some of the comments I received across my social media. 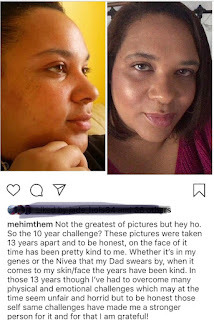 I have to admit, neither of my parent's look their age so good genes could be the reason but that said for as long as I can remember my Dad has used Nivea face cream and knowing how good it has been to his skin, I myself have been a long time user of the face cream. More recently I started looking into Nivea's range of other skincare products and have been using them for a few months now and I have to say I have been very impressed. I always used to be a bit hit and miss with sticking to a skincare routine but promised myself to start making more of an effort to take care of myself and the items are so readily available and it takes literally a few minutes to make such a difference to my physical and mental well-being, there really was no excuse. There's no getting away from the fact that I have freckles, for years I tried to hide them with make up but now I accept that they are part of my identity and embrace them but hormonal break outs I'm not so keen to embrace. Particularly as I have a tendency to pick at my spots which then lead to scarring and blemishes. 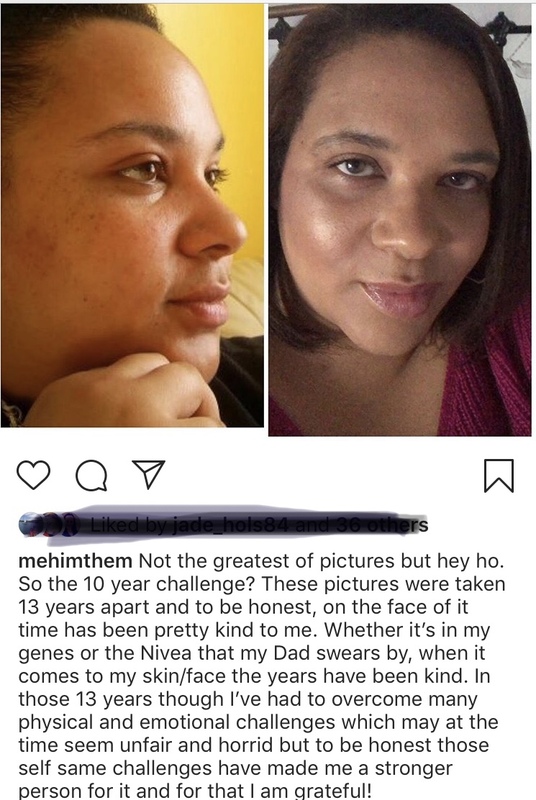 As I mentioned, along with the Nivea Creme I have been using some of the other skincare products over the last few months and boy have I seen an improvement. Every morning I have been washing my face with the Nivea Daily Essentials Gentle Exfoliating Scrub and then wiped my face using a cotton pad covered with the Daily Essentials 2 in 1 Cleanser and Toner. Once my face is dry I moisturise with the creme(I find this is also a good base for make up). Before bed I clean my face with the Nivea MicellAIR Skin Breath Micellar Water before toning again and finish off with the Daily Essentials 24HR Moisture Boost + Refresh Regenerating Night Cream. I've stuck to this skincare routine for about 3 months now and I've noticed that my scarring and blemishes are less visible, breakouts are few and far between and my skin is looking much clearer and is so smooth to touch. I generally find that despite the fab results Nivea products provide, they are so very reasonably priced that they are pretty much affordable for everyone. They have products aimed at oily, dry and combination skin so whatever your skin type you're pretty much guaranteed to find something suitable. I'll continue to use these items as long as I continue to see the results I have been seeing and am now looking forward to the next 10 year challenge! Do you have any skin care products that you swear by? How kind have the last 10 years been to you?